The Spanish Government hopes to boost the number of electric cars on the roads with new grants available in 2018. Anyone who is legally resident in Spain is eligible, as well as companies, read on for more details. The Spanish Government has set aside 20 million euros for grants for the purchase of electric and gas-fuelled cars. The scheme is called Movalt 2018. Grants are awarded on a first-come, first-served basis until 30 June 2018, or earlier if funds are depleted. 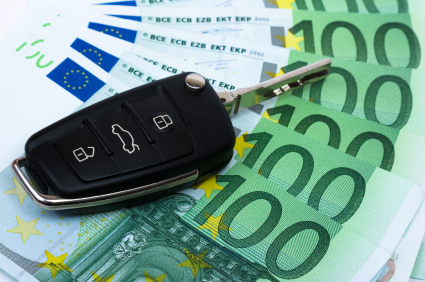 Grant amounts are based on the type of vehicle and purchaser. Purchasers are divided into 2 groups; Group 1 includes individuals, self employed and local authorities and Group 2 includes private companies. Who Can Request The Grant? In order to be eligible you need to be legally resident in Spain and have a NIE number. Self employed people or those with a company in Spain will have to supply additional paperwork to show that they are up-to-date with their fiscal obligations. Car dealers will arrange all the paperwork and, more importantly, check that funding is still available, in order to get the discount directly upon purchase. What Type of Vehicles are Included? Vehicles must be either electric (BEV, PHEV, or REEV), or fuelled by liquid gas or LPG. What Discount Will I Get? Grants of between 500€ to 18000€ are available. These amounts will be automatically discounted from the sales price. Not all car dealers are taking part in the initiative, so check before buying. Those that do take part must offer an additional 1000€ discount on cars fuelled by gas or, in the case of electric cars this amount will go towards a charging point. Even though the Government is offering these grants, Spain is still not ready for electric cars in many towns and cities. However things are changing and if you just tend to move around your local area and can charge the car at home, it might be a good idea to think about buying one. In order to increase the number of charging stations, car dealers that sell electric cars must agree to install a local charging station (for which grants are available). Do you have access to off-street parking? Is your daily car usage below 160 km? Are you thinking of buying a new car anyway? Recharging will cost approximately 2.50€-3.00€ (depending on your tariff). It’s probably a good idea to consider having a dual-tariff with lower night rates for charging to reduce the cost. Factor in to the final price of the vehicle any extras such whether you decide to lease or purchase the battery. Take into account that battery prices are decreasing as technology improves so it’s worthwhile considering your options. Is it Worth Overpaying Your Spanish Loan or Mortgage? Should You Claim For Mortgage Floor Clause or Arrangement Fee Expenses? Under 31 in Spain? Get a Youth Card and Save! Need an Online Chemist In Spain? Put your Finances on a Diet! Problem in Spain? Solve it with Solvit! Problems With Your Phone Company in Spain? Loans – The Good, The Bad and The Ugh! Friends and Family Visiting? How to Save! Media Markt Promo: All-You-Can-Get Free! Phone or Internet Service Interrupted? Know Your Rights! What Spanish Paperwork Should You Store? Movistar: I Want My Money Back!!! Electricity Tariffs: Regulated or Free Market – Which is Cheaper? Buying In A Store? Know Your Consumer Rights! Online Valuations – How Much Is Your Old Stuff Worth? Your Electricity Bill in Spain – What Is Happening? The Apple Challenge – Cheap(er) iPads & iPhones? Why Pay Full Price in Spain? Data Protection In Spain – NOT!! Discount Vouchers in Spain – Why Pay More? Why The Campo de Gibraltar Rocks! I Want One Free Dot Com! UK Pension Scheme or Plan but You Live in Spain? FNAC Store Card – It’s not free, so is it worth it? Living on (or visiting) the Costa del Sol? Check out Cool Deals for local bargains in English. Fresh flowers delivered on a budget – we’ve got it covered!